The U.S. headquarters for the Missionary Society of St. Columban is located in St. Columbans, Neb., which is south of Omaha in Bellevue, Neb. The St. Columbans, Nebraska, designation refers to our U.S. post office that is located at the Society's headquarters. It is not an incorporated city in the state of Nebraska. The headquarters' campus includes a priests' residence, chapel, and our mission office. 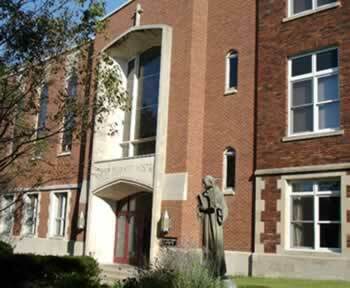 of St. Columban includes a priests' residence and chapel.